Group A: Octavo volumes, reprinting recent works, ($1.50 – $5 per volume in the series). Group C: Smaller (16mo, 18mo) books, standard biographies (older books) previously sold up to $1 each. 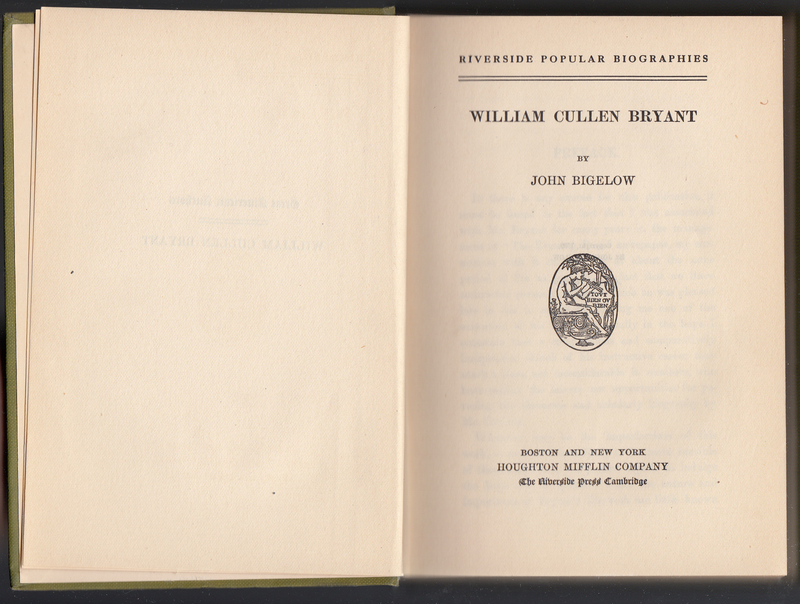 This copy of John Bigelow’s biography William Cullen Bryant contains its original year of publication (1890) but is most likely from around 1918 when the price of the cheaper volumes increased from .75 cents to $1 (as indicated in prices listed in periodicals in Google Books). 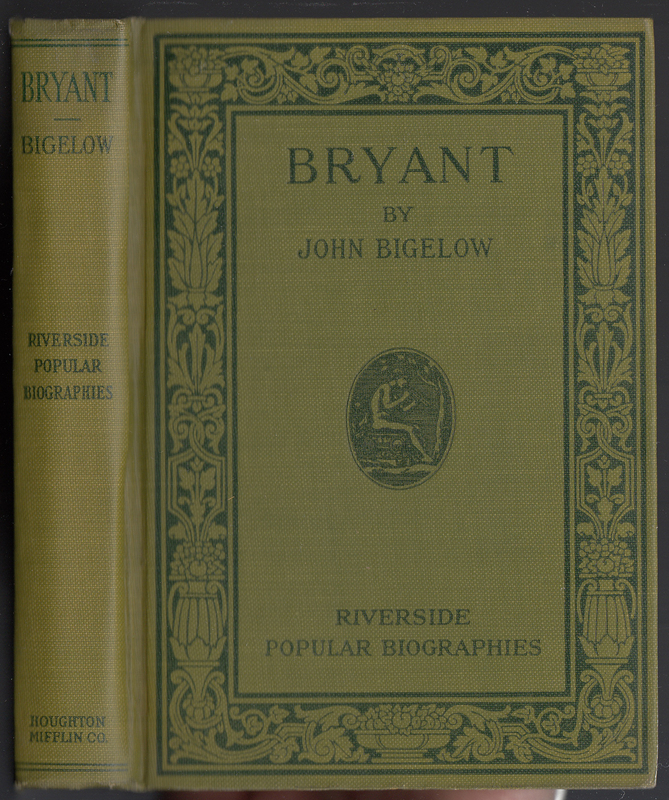 Jacket fronts are printed with an elaborate design surrounding an illustration of the subject of the biography and the title and author. A generic blurb for the series follows. Thus the jackets are unique to each title but do have common graphic and textual elements. 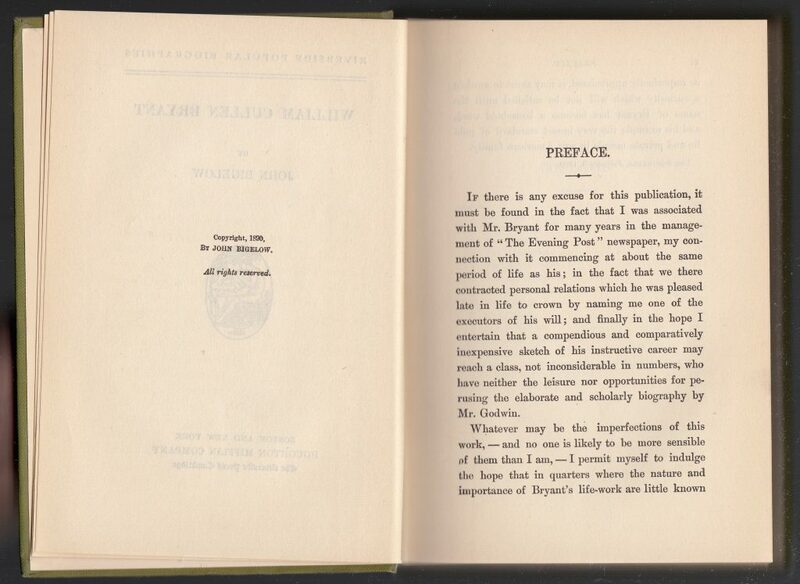 The spine includes the series name and $1.00 net price. The front and rear jacket flaps are blank. 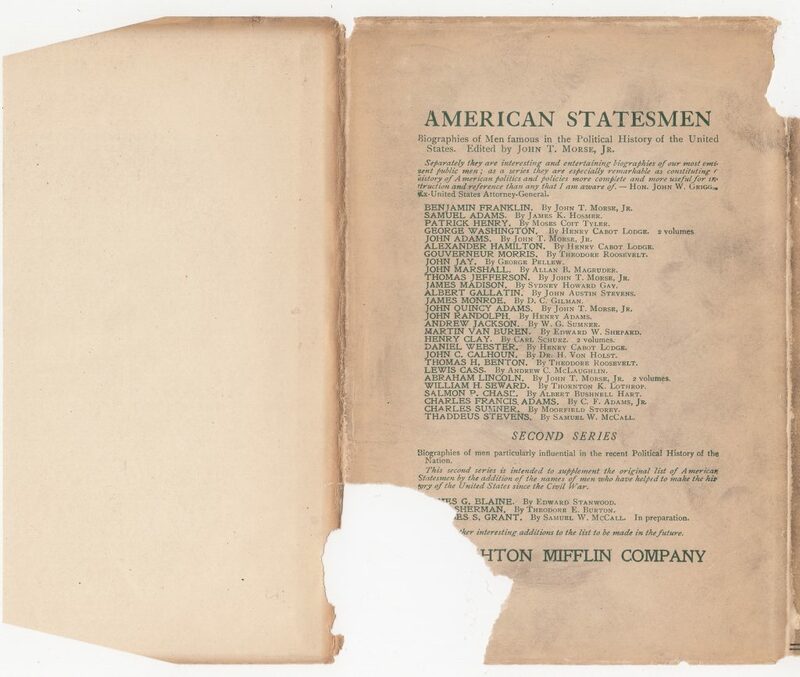 The back of the jacket includes advertising for the American Statesmen series. 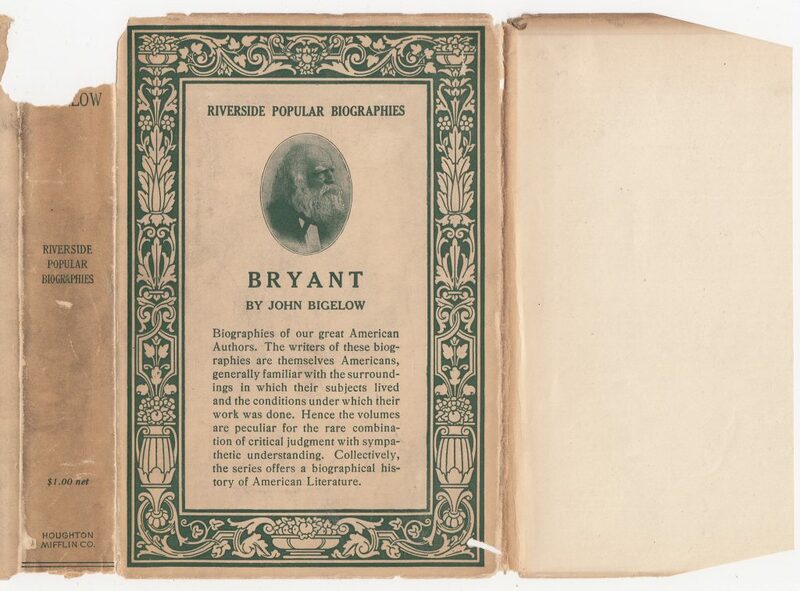 Designs printed on the book spine and front mimic much of the design from the jacket including the series name on the spine and front of the book. 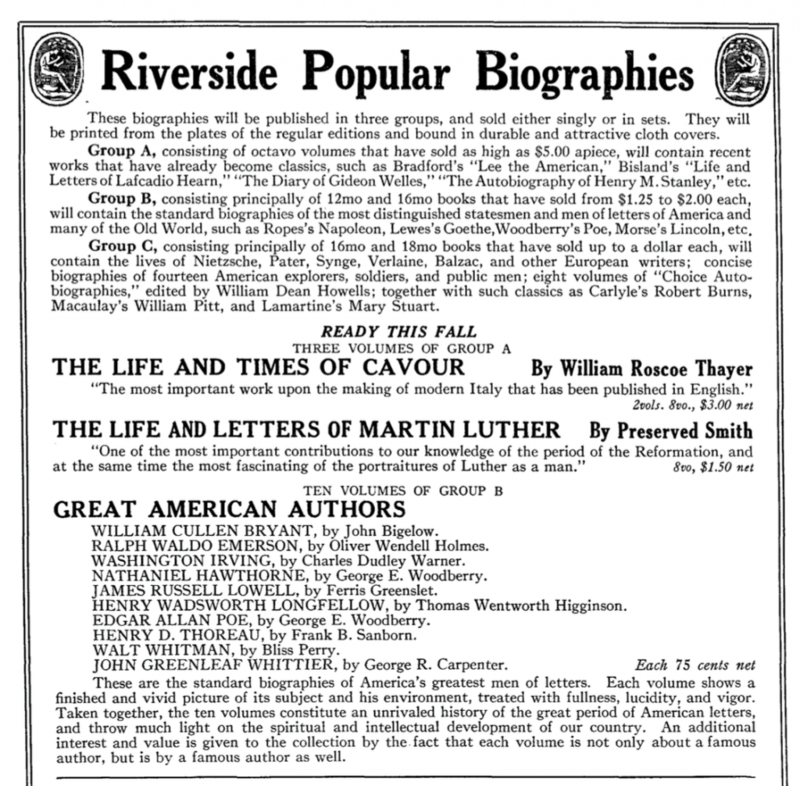 The half-title page includes the series name and subject of the biography. 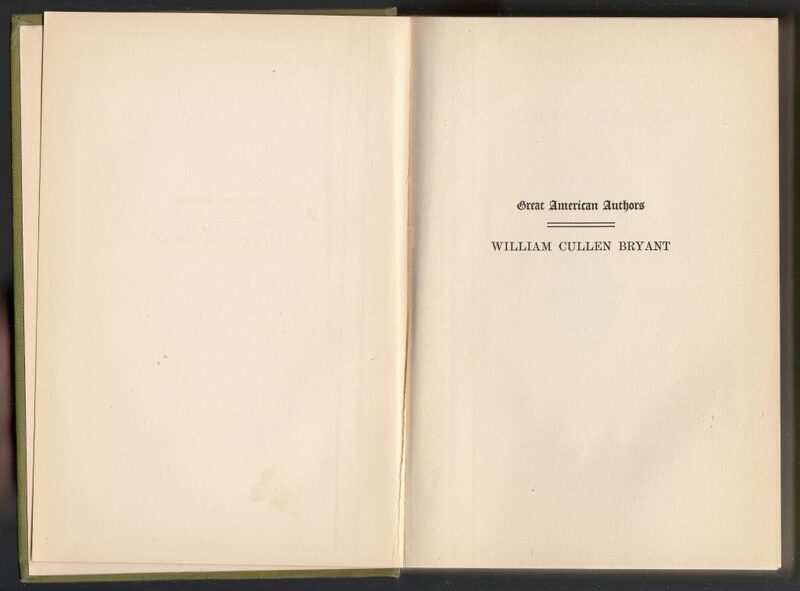 The title page includes the series name, author and title, and publisher imprint. 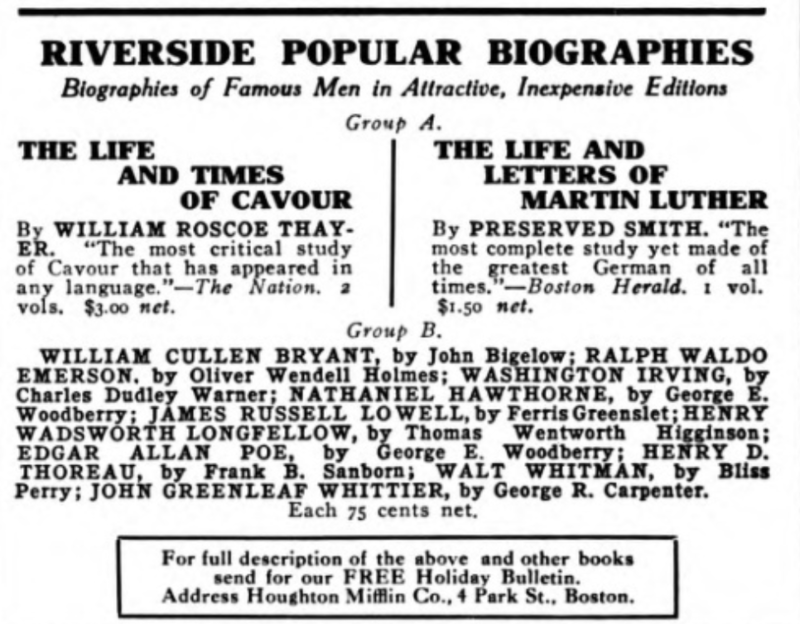 The copyright page includes the 1890 original printing year for the biography.